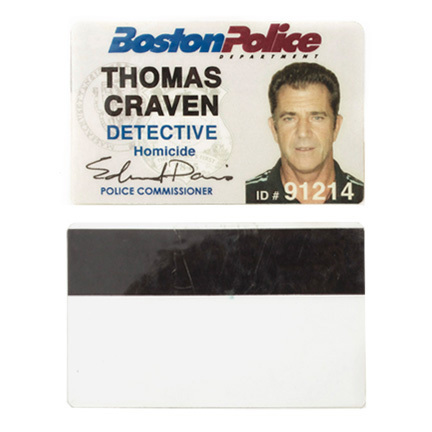 These identification materials were used by the character "Thomas Craven," portrayed by actor Mel Gibson, in the 2010 action thriller, "Edge of Darkness." 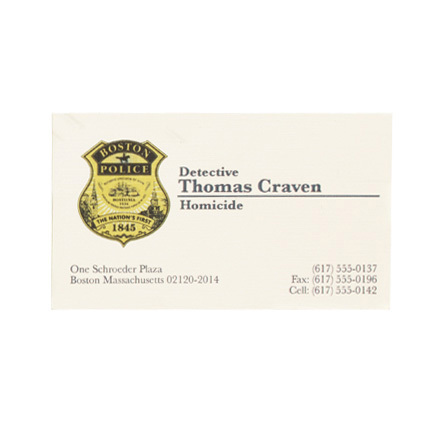 The Boston PD detective identification card is laminated with the character's name, photo and ID # "91214" clearly marked, and the detective business card has the Boston Police seal along with the character's name clearly marked as well. 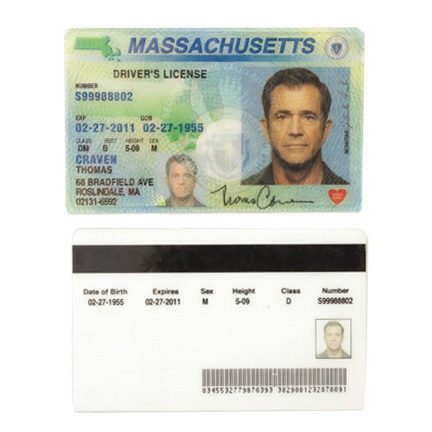 Comes included with a laminated Massachusetts Driver's License with the character's personal information and photo that was made for production but ultimately not seen onscreen. 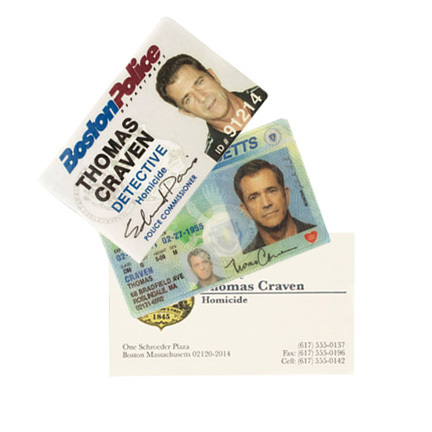 Mr. Gibson can be seen using these identification materials in various scenes through the film. 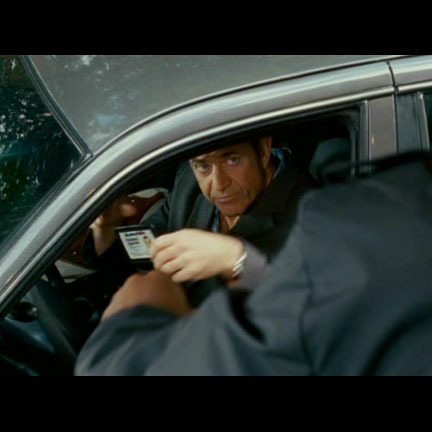 Notable scenes are when Craven meets his daughter's distraught boyfriend for the first time, he gives him his business card to call if he has information, and when he goes through security checkpoints at the Northmoor R&D facility. "Edge of Darkness," adapted from the 1985 BBC television series of the same title, features Mel Gibson, Ray Winstone, and Danny Huston . 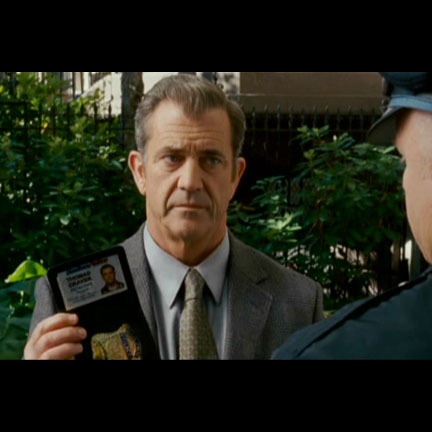 The film follows a detective (Gibson) as he investigates the murder of his activist daughter, uncovering political conspiracies and cover-ups. 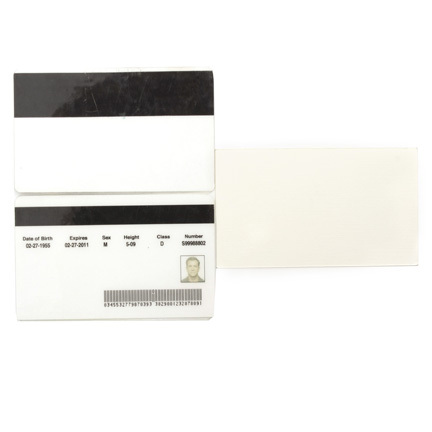 The items are in excellent screen used condition and is accompanied by a letter of authenticity. Presented by The Golden Closet, your premier source for iconic screen used motion picture, television, and music entertainment memorabilia.